The Dyker Heights Christmas Lights are one of the most famous attractions in New York City at Christmas; if you think the Rockefeller Center Christmas Tree is spectacular, in reality, The Dyker Heights Christmas Lights are by far, for me, way better. Every year more than 100.000 people walk around this Italian neighborhood in Brooklyn to experience the magic and every year the residents make the effort to decorate their houses in the best way possible. 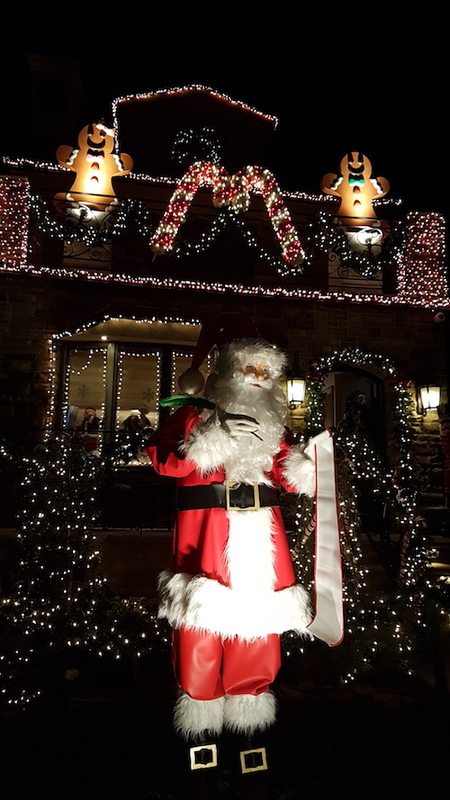 This is my ultimate guide to visit the Dyker Heights Christmas Lights with advice on how to stop for some food and drink, hot to get there, how to behave and a map. 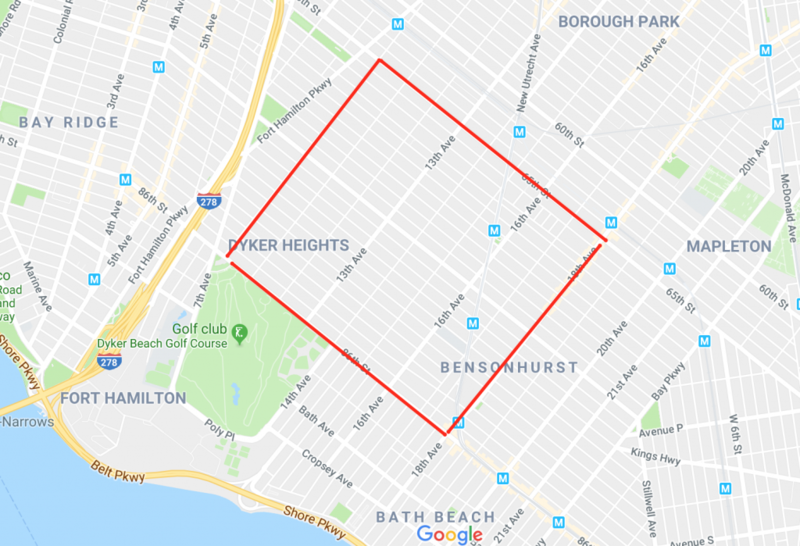 Despite what you think, The Dyker Heights Christmas Lights are not located super close to the underground: you’ve to take the train to 71st St, 86th Street or 18th St and from there you’ve to walk for 15-20 minutes to arrive at the designated location. You can reach this place also by taxi, but the subway is so convenient I recommend you choose this solution. Make sure you dress appropriately since it can be very cold. A few companies organize Dyker Heights Christmas Lights Tours: you pay about 50$ per person, they pick you up at a specific location and show you around by bus for 3 hours. It’s a personal choice but I prefer to visit by myself and enjoy the area the more I can with no limits. 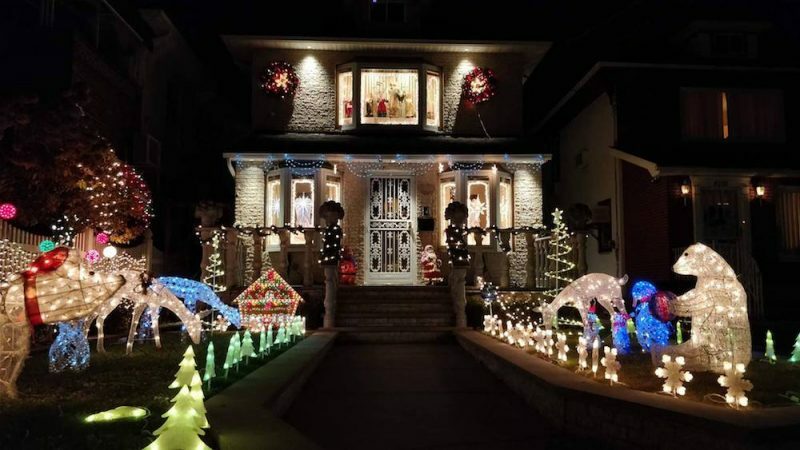 Where are the best Christmas Lights in the Dyker Heights neighborhood? The biggest and most spectacular Christmas lights can be seen from 11th to 13th Avenue and from 83rd to 86th St. 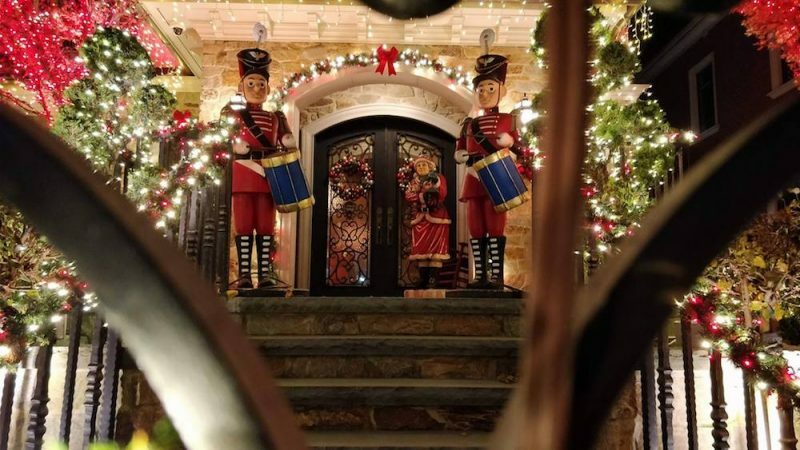 The Spata House and the Polizzotto House were among the first families to begin the tradition in the late 80s. Today, many homeowners in the area participate over multiple blocks and avenues so the display expands year after year. Just wander around the area and you’ll notice the bright Christmas Lights… and the crowd. When should I visit The Dyker Heights Christmas Lights? Every day from 5 pm to 9 pm, starting the weekend after Thanksgiving and through New Year’s Eve. Between 6.30 pm and 8 pm it can get really busy, just because at about 8.30/9pm most of the houses turn their displays off. Is there any rule to follow to visit the Christmas Lights? 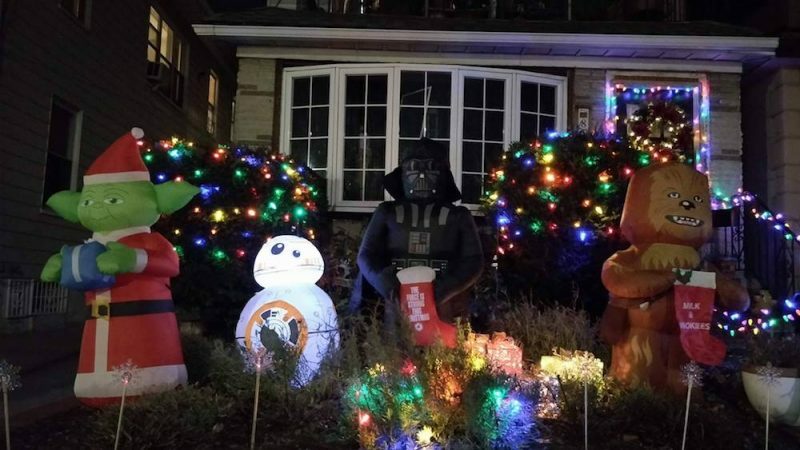 No strict rules but Dyker Heights is a normal neighborhood and people live in the houses they decorate. This means you need to respect people’s privacy (do not spy on people’s houses, do not knock at the door, do not walk into gardens and so on), do not make noise and behave politely. Common courtesy and thinking about others: these are the only two rules. Where can I eat something while I’m in the area? Dyker Heights is a historically Italian neighborhood so the choice when it comes to food is almost infinite and the quality high, especially because this is not a place for tourists (except for Christmas). So if you’re visiting The Dyker Heights Christmas Lights I recommend you plan a visit to BurgerFi (86th Street), very close to the displays, for a first class burger (vegetarian options available) and some good custard cream. I also recommend Taquitos (14th Ave), Annabelle’s Pastaria (86th Street), Chef Andrea (13th Ave) and Krispy Pizza (13th Ave). Do not miss a visit to Mona Lisa Bakery (13th Ave) and to Savarese Italian Pastry Shoppe (slightly far away, on 5922 New Utrecht Avenue). Sometimes vendors selling candies, snacks and drinks are located on every corner of the streets. 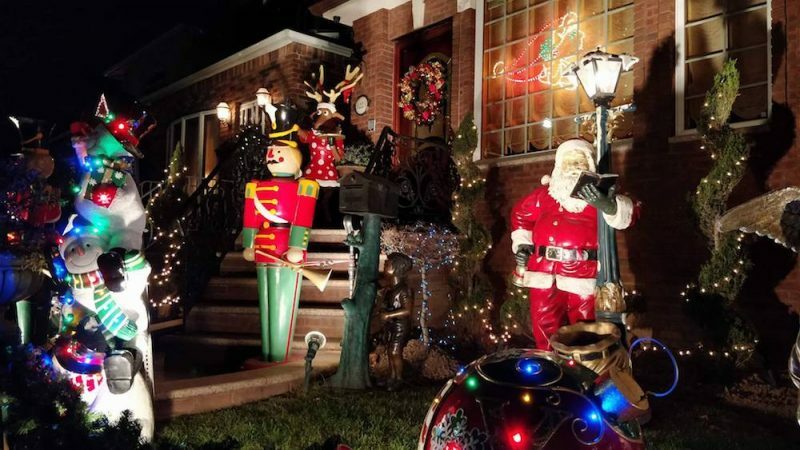 Are The Dyker Heights Christmas Lights worth the trip? Yes, without doubts. You’ll experience incredibly decorated homes and it’s definitely a fun thing to do, with or without kids. I recommend you visit The Dyker Heights Christmas Lights during the week; during the weekend can be crazy, with a tremendous amount of people visiting the area making it impossible to take a picture, have a walk and simply enjoy the decorations. Make sure you wear warm clothes, a hat, a pair of gloves and suitable shoes ’cause the temperature can be very low and snow can happen.